If you can't find what you are looking for, get in touch. 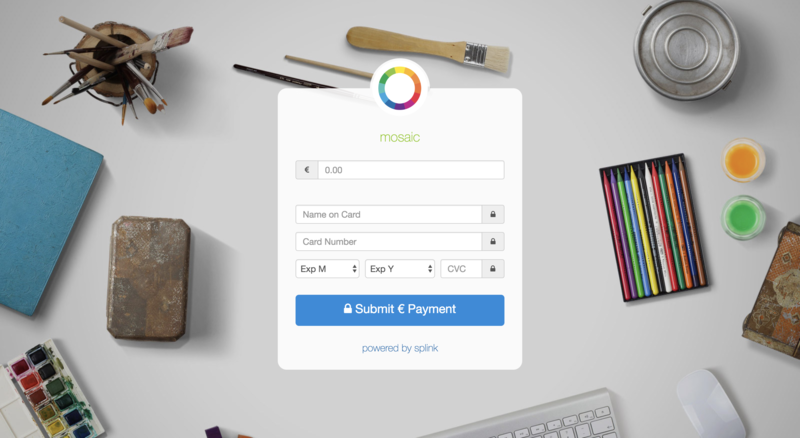 splink is a free and simple way to Take Card Payment... and Send Payment Requests for money owed or deposits upfront. Do my customers need a splink account? No, your customer does not require an account. We make it easier to get paid by reducing barriers for your customers, such as account creation, logins, code card requirements etc. All your customer needs is their card details. When a payment is processed, it is captured immediately from your customer and sent to your account. The banks and card companies put a 2-7 working day security buffer on each payment before you can see the funds in your account .The timing depends on the security precautions that the banks and card companies have in place in each country, however please be aware that as soon as the payment is processed, it is captured. Talk to us to learn more about our payment partners. What are the charges per transaction? splink charges a small fee on top of what our processing partners. For example in Europe our ‘Starter’ account charges 2.5% plus 25c per transaction (Europe 2.5% +0.25 including splink costs). With the free account, there are no setup fees and no monthly charges. Please note that if you use Stripe, they will continue to apply their regular fees to your account. splink transaction charges are reduced for Pro/Enterprise accounts. Which currencies and cards can I accept? splink accepts all major debit and credit cards. splink also allows you to accept & request payments in EUR, GBP, USD, CAD & AUD. If your currency is not listed please contact us and we will see if we can facilitate you. splink can accept payments from 130+ countries across the globe. To create a splink account you must have a bank account in one of the following countries: Australia, Austria, Belgium, Canada, Denmark, Finland, France, Germany, Hong Kong, Ireland, Italy, Japan, Luxembourg, Netherlands, New Zealand, Norway, Portugal, Singapore, Spain, Sweden, Switzerland, United Kingdom or United States. We are Level 1 PCI compliant when when it comes to processing payment data through our partners. This is the most stringent level of security available in the payments industry. Our technical architecture and procedures ensures all data is protected to the highest standard. Does splink store any card details information? No, we do not store any card information. What do I need to connect my bank account? Connecting your bank account is simple. All you need is your IBAN. If you are a Ltd Company, you need to provide your Company Number too. Do I need to download the splink app? No, the app is optional. The splink app is a FREE feature that enables you to take payments when you are on the move. It turns your smart device (phone, tablet, iPad etc.) into a virtual card terminal so you can always take payment from your customers anywhere. The app can help you reduce your card terminal or hardware purchasing / rental costs, as you can power and arm your entire workforce with unlimited virtual card terminals connected to your bank account. No, the splink app turns your smart device (phone, tablet, iPad) into a virtual card terminal so you can always take payment from your customers anywhere. It is available in both the Apple App store and the Android store. The app allows you to Tap or Scan customers card for ease of payment. It also enables you send your splink to your customers from the app via Email, SMS or WhatApp. Want to get the most out of splink? To upgrade your account, contact one of the splink sales team through the help function in the bottom right-hand corner and we will get you on your way. What is the difference between Take and Request? Take payment from your customers face to face in your office or on your mobile while on the move or you can simply send a payment requests for money owed, where your customer will receive an SMS and an email with a simple payment link - if a customer forgets to pay you, we’ll send them automatic gentle reminders. Add your logo, choose your background and add custom fields to capture additional information from your customers.